I am constantly on-the-go, so packing and unpacking can sometimes feel like a chore. One way I've found to help make the packing process less painful is to have my travel toiletry bag stocked and always ready to go. The items I keep in it are strictly for travel use (though some I have full-size versions that I use on a day-to-day basis at home), so when I go to leave town I know there's no chance of forgetting anything. It saves time and just makes life a bit easier, and who doesn't want that?! 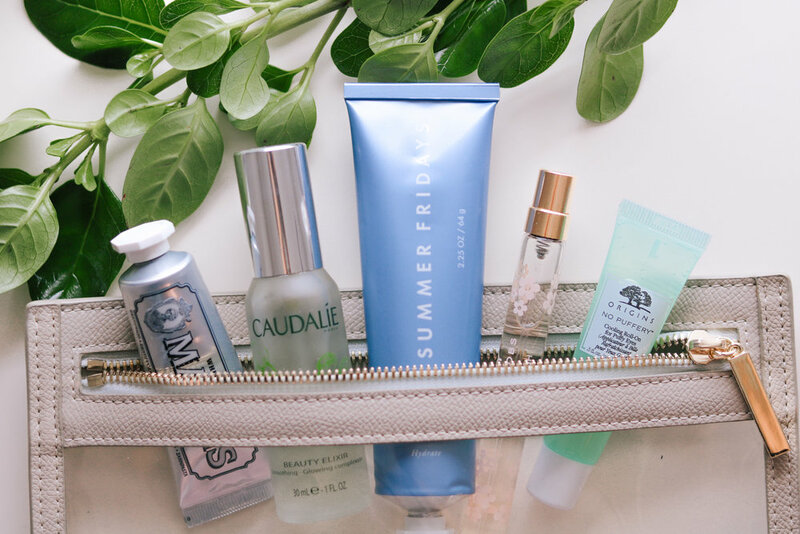 Aside from the drugstore basics and any items I snagged from the last hotel I stayed at, below are a few items I love for travel and highly recommend you add to your toiletry bag ASAP, all in TSA approved sizes (so no need to repack when just using a carry-on)! This product totally lives up to its name! 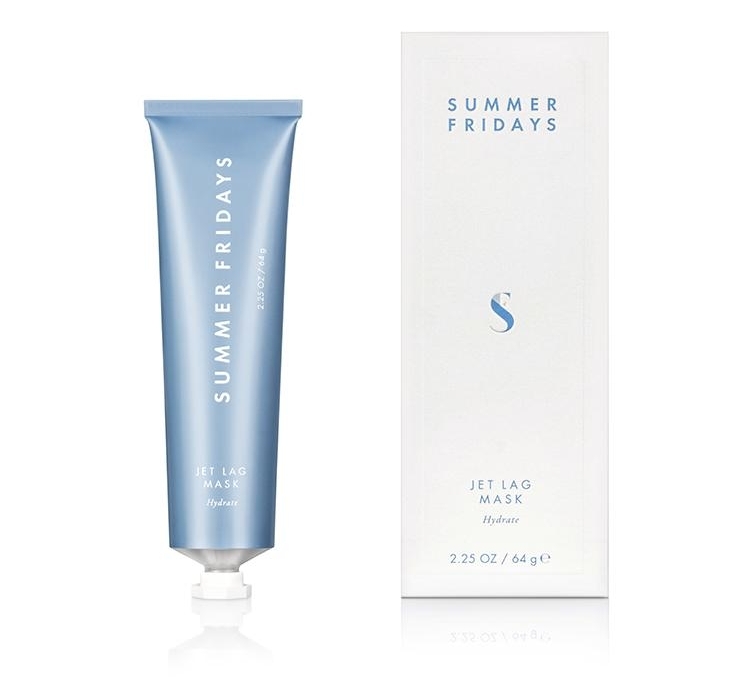 The Jet Lag Mask is incredibly hydrating and leaves my skin soft and glowing. It soothes thirsty, stressed-out skin by steeping cells in a nourishing mix of vitamins, ceramides and antioxidants. I love it! I love this conditioning detangling spray especially for summer or tropical travels when my hair spends lots of time wet. Not only does it help brush through tough tangles and boosts hydration, but it's also provides heat protection. Plus it smells great! Travel can not only make you feel tired but look tired too! This cooling roll-on treatment de-puffs under-eye bags and brightens dark circles leaving eyes refreshed. I'm not a fan of rollerballs yet the majority of travel size perfumes come in this form. So whenever I find a spray pen, I stock up! I currently love Marc Jacobs Daisy Eau So Fresh. Liquids can be a nightmare while traveling, so if you can avoid them, why not? I love Clinique's Take The Day Off eye makeup remover because it comes in balm form and melts into oil. Easy to use and is soft on the skin. 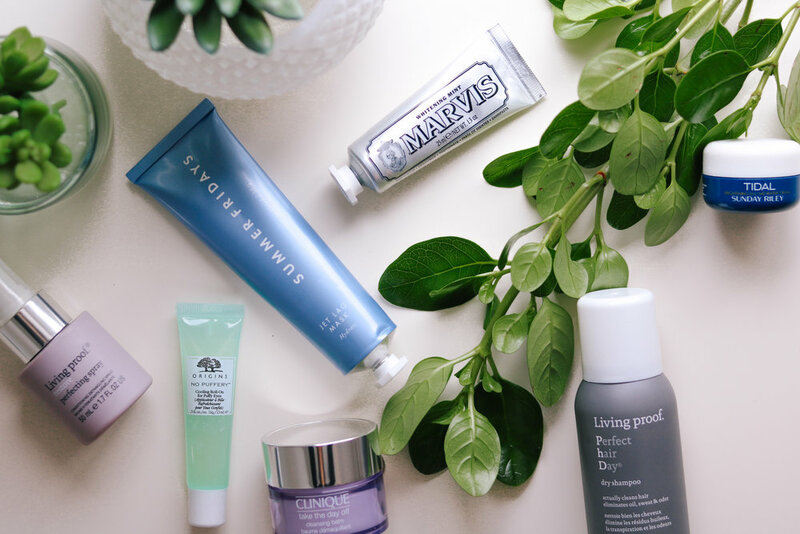 This cult beauty product has numerous benefits, but I love the lightweight mist because it reduces dullness and provides instant hydration for dry skin. Perfect for long flights! It's full of essential oils giving it a therapeutic scent great for a mid-day pick-me-up. This has been my day-to-day moisturizer for a few months now and conveniently also comes in travel size! 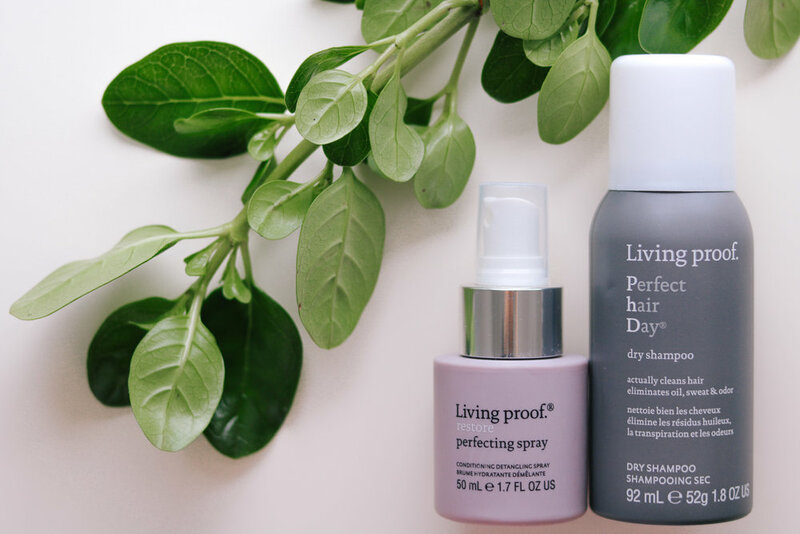 It's lightweight and leaves skin plumped and hydrated for up to 24 hours. It also brightens skin and reduces dark spots. 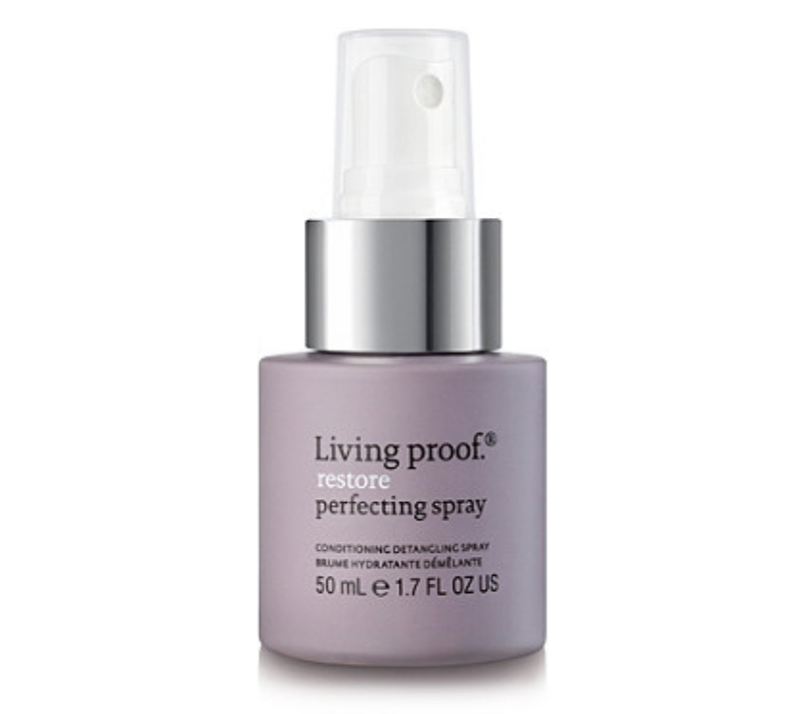 Dry shampoo can be a lifesaver when traveling and this Living Proof version cleans beyond ordinary dry shampoos. It absorbs and removes oil, sweat and odor, and even has a time-released fragrance to deliver a light, clean scent throughout the day. Perfect for long travel days!